We sold our beautiful sailboat. Just this past weekend, she found new owners after being part of our family for the past 5 years. It was our choice, of course, because we found another boat that gives us a bit more space, and the luxurious addition of an aft cabin. All good. But the emotions of selling Anna, our beautiful Shipman 28, still caught us a bit by surprise. When we first bought Anna, sailing was fairly new to us. 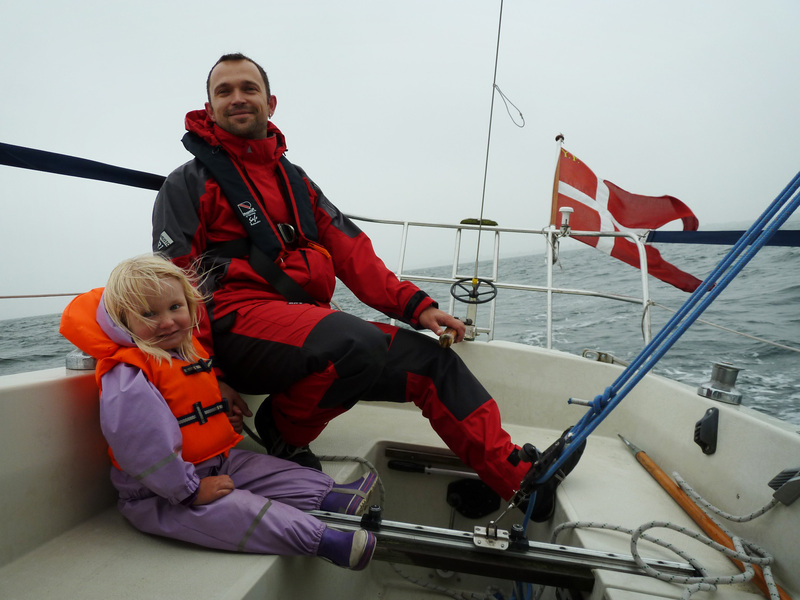 None of us had done any sailing recently, but Mads and I both love the sea, and we felt like we were spending too much money paying for charter holidays and not getting quite the value that we thought we should. 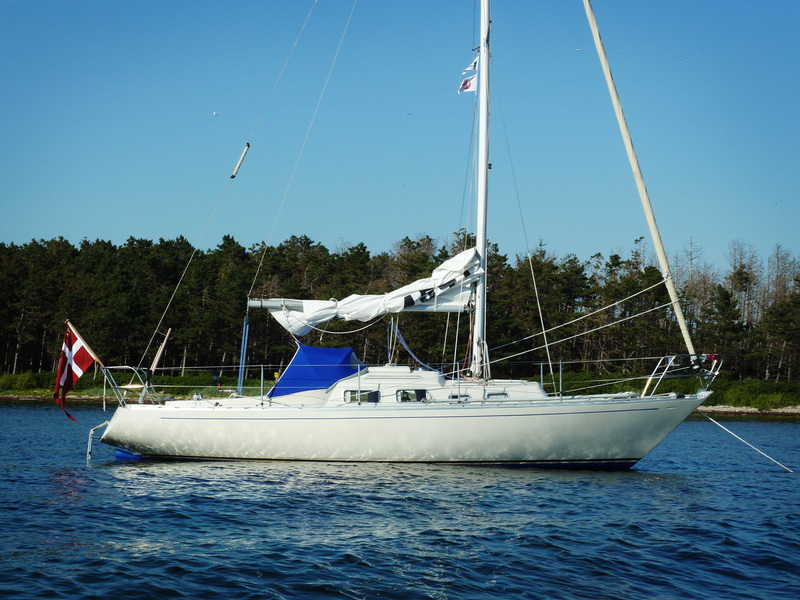 We started to talk about sailing after a summer vacation, and quickly began looking at boats. That’s how we found Anna. This picture is from our very first short trip – Ronja wasn’t there for some reason, and Frida was just barely 2 years old. Since then, our summer vacations have been spent on Anna. Come rain or come shine – mostly rain during the first two years, but especially the past two years we have had such beautiful weather, I wouldn’t want to be anywhere but on a boat. A week ago, we made a website for the purpose of selling the boat, and going through the pictures was a bit emotional to both of us. I wanted to include all of them here, but I tried to just choose a small selection. The new owners signed the papers on Saturday, three days after we put her up for sale. It was great to have everything in order so quickly, because that way we can focus our time and energy on the new boat, a wonderful Granada 32. We will be looking forward to meeting our old boat at sea, and we hope the new owners will take great care of her. Buying Anna is definitely one of the best decisions we have made, and looking back at the memories she brought us is a treat. Now, hopefully we will get to build that same kind of familiarity with our new sailboat. This entry was posted in Family, Sailing and tagged granada 32, sailing, sailing family, shipman 28.